One of the most overused terms in sports is courage. A guy hits a single in the bottom of the ninth to win a baseball game for his team and the announcers gasp and coo that’s he’s exhibited an uncommon amount of courage. 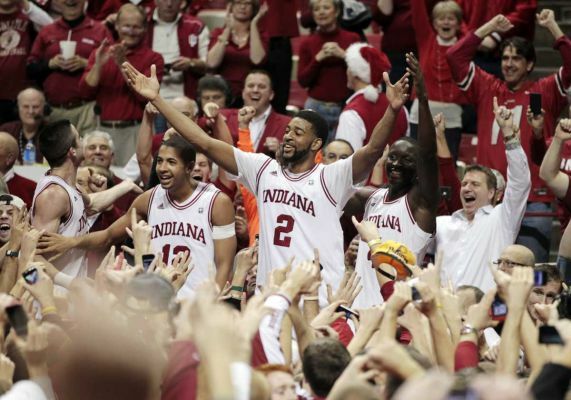 Or the plucky college basketball team beats the number one team in the nation which, as we all know, happened a little more than a month ago right here in Bloomington. Sure enough, the announcers and the next day’s sports columnists all agreed: that plucky team was very courageous. There was only one truly courageous professional athlete I’ve ever seen. 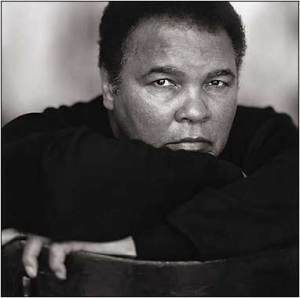 He was born Cassius Marcellus Clay in Louisville, Kentucky, 70 years ago today. We know him as Muhammad Ali. I’ve never given a damn about professional boxing. It’s a cruel sport. It’s nothing more than sanctioned assault and battery performed for the pleasure of the slobs who pay to watch. Men batter each others’ brains into mush so promoters and TV execs can make millions. But I was always a fan of Muhammad Ali. He was the first jock to understand that what he was doing, first and foremost, was entertaining. “I wish people would love everybody else the way they love me,” he said. Muhammad Ali was strong. 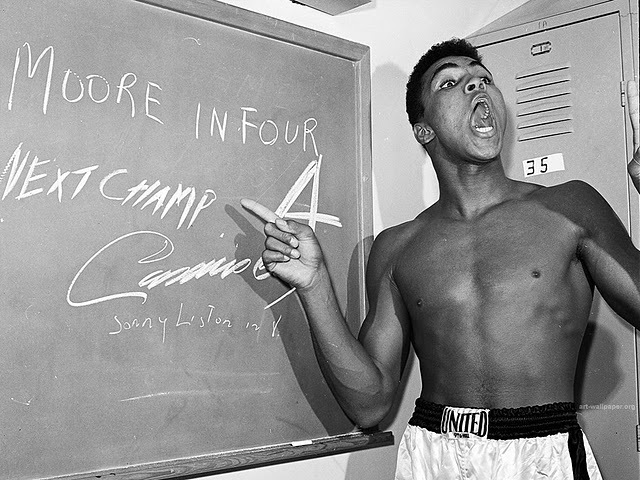 Muhammad Ali spent months training for a fight. Muhammad Ali endured blows that would disable or kill you and me. Muhammad Ali beat up dozens of men in the ring. But nothing he did was courageous until he started looking at the question of black and white in America. No social commentator has ever uttered or typed a line with such clarity and perspicacity on the topic of race in America. 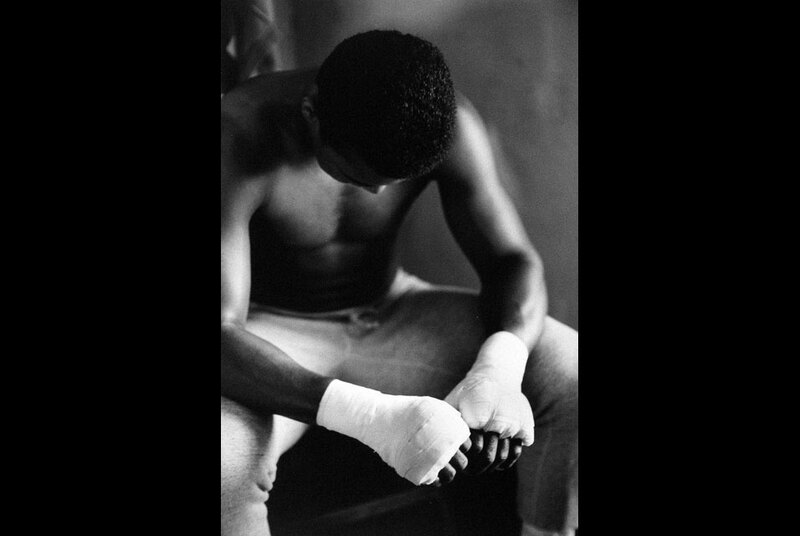 When he first became boxing’s champion, he had reached the pinnacle of all that a black man could achieve in this holy land. He knew it wasn’t enough. Still going by the name Clay, he and Martin Luther King, Jr. were the most famous black men in the world. He was wealthy. What man would jeopardize that? He did. Racism in America so disgusted him that he joined the Nation of Islam in 1964. He changed his name to Ali. All those white men watching him beat up another black men weren’t going to like that one bit. 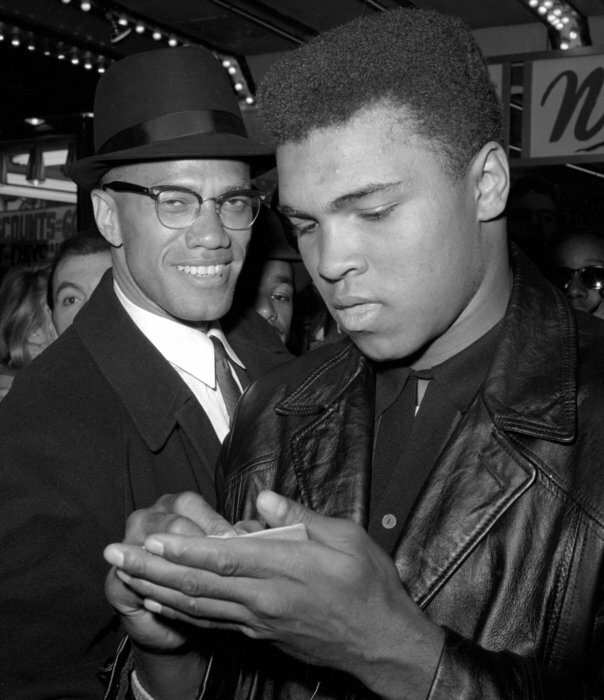 Muhammad Ali instantly became the man they loved to hate. What professional athlete today would put at risk even one commercial shoot to breathe a word about freedom or race or poverty? Muhammad Ali had work to do — work much more important than mashing the brains of another black man for the amusement of white men. America’s Vietnam War was disposing of thousands of human beings a week. It was fought, disproportionately, by America’s blacks. 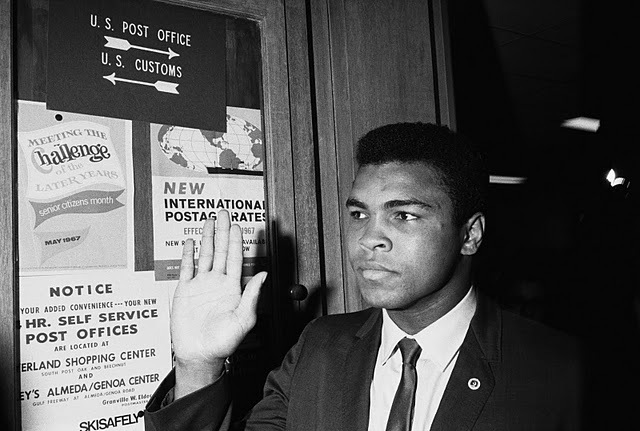 In 1966, when Ali was classified 1-A by the Selective Service System, he opted for courage. He was ordered to report to the Army’s induction center in Houston in April, 1967. When the induction officer called his name, Ali refused to respond. He could have run to Canada, as many young men were doing back then. He could have joined the National Guard, as many pro athletes were doing at the time as well. Joining the National Guard was a way of avoiding service in the regular Army and, consequently, being sent to Southeast Asia. He’d chosen neither of those ways out. Three times the induction officer called his name. Three times he stood tall and silent. Finally the officer warned him that refusing to respond was a felony punishable by five years in prison. Which, by the way, was now the preferred appellation for him among so many of those white men who formerly enjoyed watching him beat up another black man. Ali was immediately arrested and charged. He was found guilty by a jury two months later. He’d been stripped of his championship title by boxing’s regulating authorities the day he was arrested. He gave up his career and his freedom and put his fortune at risk, all for something he believed in. Which sports celebrity today believes in anything? 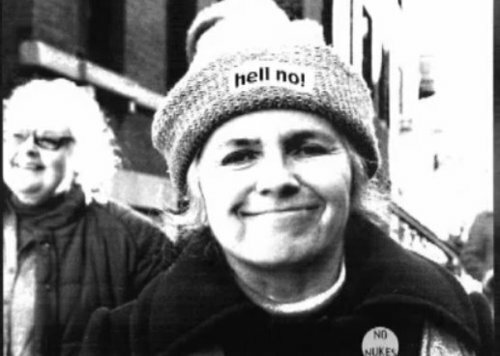 Which American today would risk a nickel on something he or she believes in? It all turned out well for Muhammad Ali, of course. His conviction was overturned by the US Supreme Court. He was allowed to compete for the heavywieght title again and he won it back. In his doddering years, he has become this nation’s kindly, lovable grandpa. When he dies, politicians and wags will fall all over each other trying to be the first to say what a great man he was. But on April 28, 1967, Muhammad Ali had no idea that would happen. He only knew his public opposition to the Vietnam War was worth risking everything he had. …and that, sir, was your best blog entry to date. It was wonderful and inspiring; even if I had to look-up perspicacity.